I have tested lately the optional to use AWS(amazon web service) RDS (relational database). AWS RDS offer to use MySQL,Oracle and SQL Server on the cloud. like the SQL Azure, the service is not full supported all manageable issues we as a DBA’s can do on the Databases on premise. but since AWS RDS for SQL Server offer SQL Server as almost full versions. start with Express to enterprise edition. 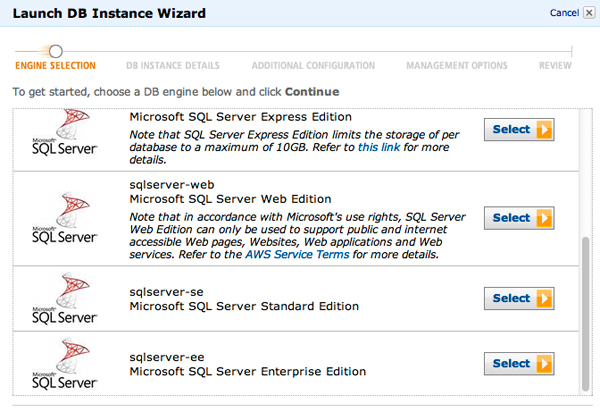 and from SQL Server 2008 to SQL Server 2012.
then click on the version you want….